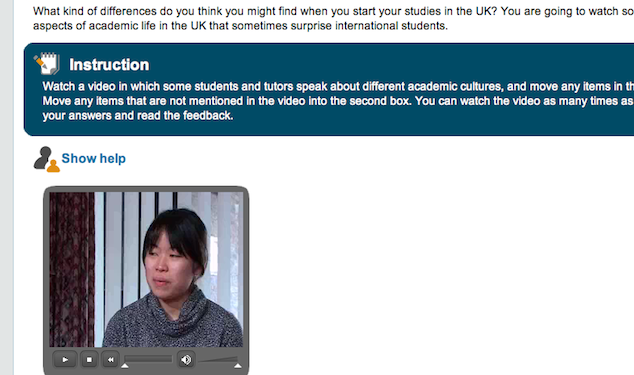 A website which prepares international students for university study in the UK has just notched up 500,000 visits. Prepare for Success, which was developed by the University of Southampton in 2008 and backed by UKCISA, features more than 18 hours of interactive learning content on British academic culture and study skills. Topics covered could include critical thinking, or how to approach academic reading and writing. An interactive FAQs page tackles queries such as What’s the difference between a tutor and a lecturer? How will my assignments be graded? Or When are exams held in the UK? The website is free for students and can be used by universities as a resource for their cohorts. Developed with government funding the site does not support advertising, but the university markets it concertedly through social networks such as YouTube, Weibo and Renren. Watson said feedback from students and institutions had been positive. She said the aim now was to reach a million visits. “It would be great to reach all international students who are planning to come and study at universities and colleges in the UK and help them get ready,” she said. An update: the Prepare for Success website received its one millionth visit on 4th Nov 2014.